Mounting clamp allows using TAL75R OTA on EQ mount or any Photo Tripod. TAL-75R is designed for both visual and astro imaging use, and provides stunning high-resolution images. 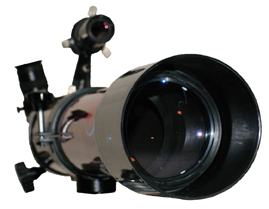 This instrument combines a modern optical design with traditional high-quality engineering for discerning astronomers. The steel OTA contains carefully ray-traced baffles to eliminate stray light, providing crisp, high-contrast images. 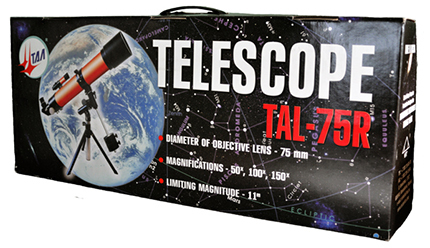 TAL75R can be used as excellent Finder Scope or Guiding scope for astrophotography. The latest TAL75R model is equipped with a smooth friction-type Crayford focusing mechanism and plastic dew shield with lens cap.